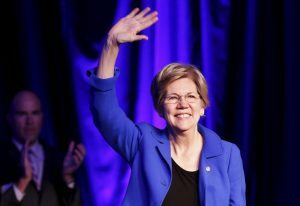 WASHINGTON — Sen. Elizabeth Warren plans to endorse Hillary Clinton Thursday night. That’s according to two Senate officials with knowledge of her plans who spoke on condition of anonymity ahead of the public announcement. Warren has been stepping up her criticism of Donald Trump and has a speech scheduled later Thursday to attack him and GOP leaders on the issue of judicial nominations. The Massachusetts liberal also will make an appearance on Rachel Maddow’s MSNBC show, where she’s expected to offer the Clinton endorsement. Warren has been the only one of the Senate’s female Democratic senators to hold off on a Clinton endorsement. Her backing will come on the same day as President Barack Obama’s endorsement of Clinton and could help swing Bernie Sanders’ liberal supporters behind the presumptive Democratic nominee.